Only one photo tagged with Lavazza at services. If you have one, why not upload it? Lavazza is one of the largest coffee brands in the world. 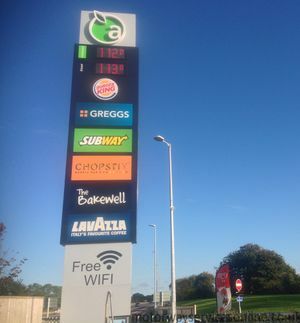 At motorway services, they have branches within many Applegreen sites. They also have stands at a few a-road services in England. As one of its improvements to its image, all Little Chefs sold Lavazza coffee too.